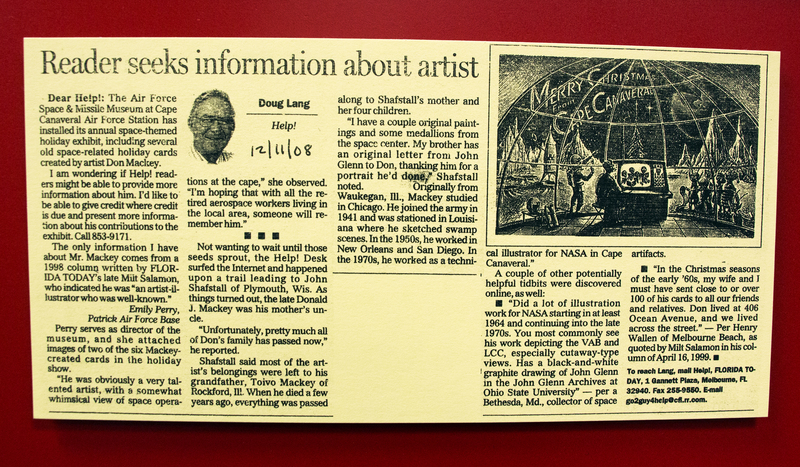 Don Mackey Newspaper Biography by Doug Lang in Florida Today, December 11, 2008. How interesting! I will e-mail you tonight with a picture of some similar cards I have.